It looks reasonable: 'Big data' is dead. What’s next? 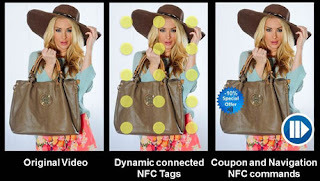 As I guess, their activation could be synchronized with the video. Some like "shopping by example". Our mashup WAYN (Where Are You Now) has been redesigned. 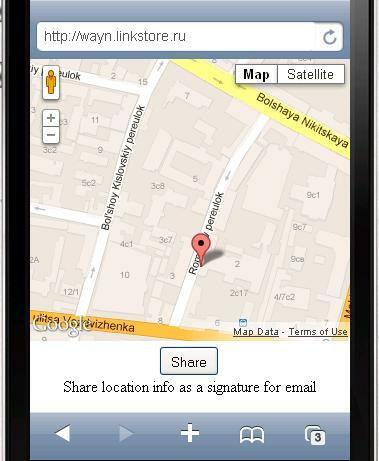 This mobile web mashup lets you share location info as a signature for messages. There is no identification, there are no third party servers with customers data. It is just a direct delivery location information to the target party. Both sender and receiver are unknown for the system. The whole transmission is performed outside of WAYN. The latest release includes for example our new mobile web mashup Where Are You Now?. This paper discusses the specific area of M2M applications - Wired Smart Home. It contains the overview of requirements to Wired Smart Home in the scope of energy metering, security, and emergency communications. We consider ETSI activities on M2M standardization, Open Metering System specification, and Emergency Communications. In the field of software issues, we offer a newer web tool - Web Intents as a modern enhancement of M2M middleware. Also, the experience in Wired Smart Home implementation is given. An interesting list of projects based on Google App Engine. For example, Livehoods - a new way to conceptualize the dynamics, structure, and character of a city by analyzing the social media its residents generate. Adding a semantic layer to big data. Reinventing the Semantic Web? A special formation for big data - long time series. Actually, there is a discussion: is it a common use case or just an exception. Big data and sensors in 2013 technological trends. What is else?